HOUSTON, Nov. 09, 2018 (GLOBE NEWSWIRE) -- TC PipeLines, LP (NYSE:TCP) (the Partnership) today reported third quarter 2018 net income attributable to controlling interests of $62 million and distributable cash flow of $83 million. "During the third quarter of 2018, our portfolio of high quality, natural gas pipelines performed very well, generating 30 percent higher net income per common unit than in the same quarter last year," said Nathan Brown, president of TC PipeLines, GP, Inc. "Our strategically located pipelines continue to benefit from increased natural gas flows, largely out of the Western Canadian Sedimentary Basin, and from additional contracting, both of which are contributing to our current results." "We have a healthy balance sheet and strong coverage ratios," continued Brown. "We have made significant progress in our response to the actions of the FERC earlier this year, and look forward to finalizing our regulatory strategy by year's end. Our reliable and diversified pipeline assets are in high demand and we are pursuing further appropriately sized, well-placed and well-timed organic expansion opportunities. Our Portland XPress project is a good example of our ability to economically and efficiently expand our existing infrastructure." (a) Net income per common unit is computed by dividing net income attributable to controlling interests, after deduction of net income attributed to PNGTS' former parent and amounts attributable to the General Partner and Class B units, by the weighted average number of common units outstanding. Refer to Financial Summary-Consolidated Statements of Income section of this release. (b) EBITDA and Distributable cash flow are non-GAAP financial measures. Refer to the description of these non-GAAP financial measures in the section of this release entitled "Non-GAAP Measures" and the Supplemental Schedule for further detail. Distributable cash flow is computed net of distributions declared to the General Partner and distributions allocable to Class B units. 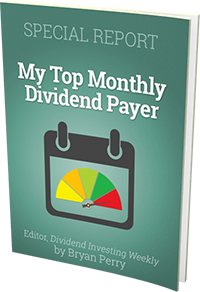 Distributions declared to the General Partner are based on its effective two percent interest plus an amount equal to incentive distributions. For the year ending December 31, 2018, distributions allocable to the Class B units (30 percent of GTN's 2018 distributable cash flow less $20 million) will be further reduced by 35 percent, which is equivalent to the percentage by which distributions payable to the common units were reduced in 2018 (Class B Reduction). The Class B Reduction was implemented during the first quarter of 2018 following the Partnership's common unit distribution reduction of 35 percent. The Class B Reduction will continue to apply for any particular calendar year until distributions payable in respect of common units for such calendar year equal or exceed $3.94 per common unit. Members of the investment community and other interested parties are invited to participate in a teleconference by calling 800.273.9672 on Friday, November 9, 2018 at 10 a.m. CST/11 a.m. EST. Nathan Brown, president of the General Partner, will discuss the third quarter financial results and provide an update on the Partnership's business, followed by a question and answer session. Please dial in 10 minutes prior to the start of the call. No pass code is required. A live webcast of the conference call will also be available through the Partnership's website at www.tcpipelineslp.com or via the following URL: http://www.gowebcasting.com/9681. Slides for the presentation will be posted on the Partnership's website under "Events and Presentations" prior to the webcast. Certain non-historical statements in this release relating to future plans, projections, events or conditions are intended to be "forward-looking statements". These statements are based on current expectations and, therefore, subject to a variety of risks and uncertainties that could cause actual results to differ materially from the projections, anticipated results or other expectations expressed in this release, including, without limitation to the ability of these assets to generate ongoing value to our unitholders, impact of potential impairment charges, decreases in demand on our pipeline systems, increases in operating and compliance costs, the outcome of rate proceedings, the impact of recently issued and future accounting updates and other changes in accounting policies, the impact of the 2017 Tax Act and the 2018 FERC Actions on our future operating performance and cashflows, potential changes in the taxation of MLP investments by state or federal governments such as the elimination of pass-through taxation or tax deferred distributions, our ability to identify and complete expansion and growth opportunities, operating hazards beyond our control, and our ability to access debt and equity markets that negatively impacts the Partnership's ability to finance its capital spending. These and other factors that could cause future results to differ materially from those anticipated are discussed in Item 1A in our Annual Report on Form 10-K for the year-ended December 31, 2017 filed with the Securities and Exchange Commission (the SEC), as updated and supplemented by subsequent filings with the SEC. All forward-looking statements are made only as of the date made and except as required by applicable law, we undertake no obligation to update any forward-looking statements to reflect new information, subsequent events or other changes. (a) Net income per common unit is computed by dividing net income attributable to controlling interests, after deduction of amounts attributable to the General Partner and Class B units, by the weighted average number of common units outstanding. The amount allocable to the General Partner equals an amount based upon the General Partner's effective two percent general partner interest, plus an amount equal to incentive distributions. For the year ending December 31, 2018, the amount allocable to the Class B units is equal to 30 percent of GTN's annual distributable cash flow, less the threshold amount of $20 million and is further reduced by the Class B Reduction for 2018 (2017 – less the threshold of $20 million and the Class B Reduction was not required). During the three and nine months ended September 30, 2018, $4 million was allocated to the Class B units (2017 - $8 million). (a) Interest expense as presented includes net realized loss related to the interest rate swaps and amortization of realized loss on PNGTS' derivative instruments. (b) Amounts are calculated in accordance with the cash distribution policies of each of our equity investments. Distributions from our equity investments represent our respective share of these entities' quarterly distributable cash during the current reporting period. (d) Distributions to non-controlling interests represent the respective share of our consolidated entities' distributable cash from earnings not owned by us during the periods presented. (e) Distributions to TransCanada as PNGTS' former parent represent TransCanada's respective share of PNGTS' distributable cash from earnings not owned by us during the periods presented. (f) The Partnership's maintenance capital expenditures include cash expenditures made to maintain, over the long term, the operating capacity, system integrity and reliability of our pipeline assets. This amount represents the Partnership's and its consolidated subsidiaries' maintenance capital expenditures and does not include the Partnership's share of maintenance capital expenditures for our equity investments. Such amounts are reflected in "Distributions from equity investments" as those amounts are withheld by those entities from their quarterly distributable cash. (h) During the nine months ended September 30, 2018, 30 percent of GTN's total distributions amounted to $31 million. After applying the $20 million annual threshold and an estimate of Class B Reduction for 2018, $4 million was allocated to the Class B units for both the three and nine months ended September 30, 2018. During the nine months ended September 30, 2017, 30 percent of GTN's total distributions amounted to $28 million. After applying the $20 million annual threshold, $8 million was allocated to the Class B units for both the three and nine months ended September 30, 2017. The Class B reduction was not required during 2017.